Case study Blog has a new muse. Her name is Karola Witczak and she makes beautifully feminine cards. I thought I would give this one a try because I liked the shapes she used as well as the color scheme. If you want to see more card entries or enter a challenge yourself head over to Case Study Challenge. And now get ready for my take on it. I showed my husband, Lance, and he had to look at it for a minute before he understood my interpretation. I am not sure if he thought my card was a success. 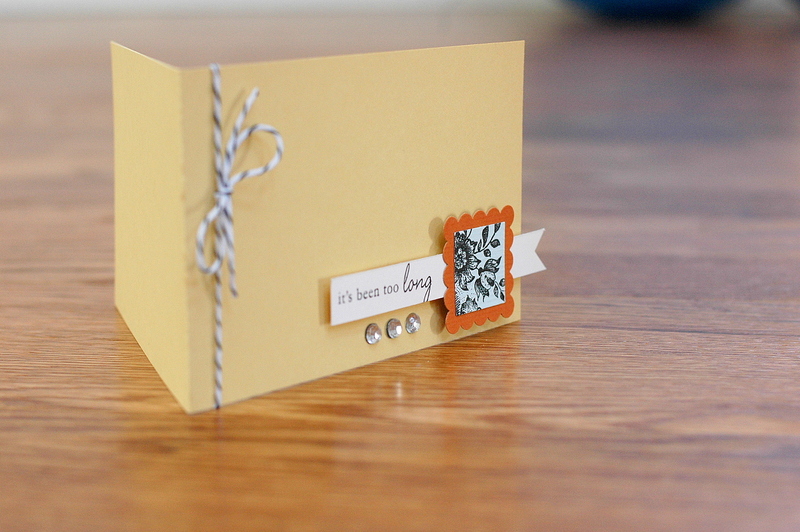 I think he favored her more ornate card, and who wouldn't love the details and embellishments? I can't argue with him! I used the concept of 3 flowers with the gems, The scallop shape, the flowers, and the banner. I adored the colors she used, so I tried to use the same. And the baker's twine, cuz I bought a bunch in bulk (I don't feel as bad using it, knowing I have a ton more, that's my way to get over hoarding, just buy in bulk and you feel OK about using it) and felt it worked. I debated using a satin ribbon instead, but thought the baker's twine gave it a fun vibe. Not too Stuffy! What a gorgeous CAS take on the CASE Study this week! 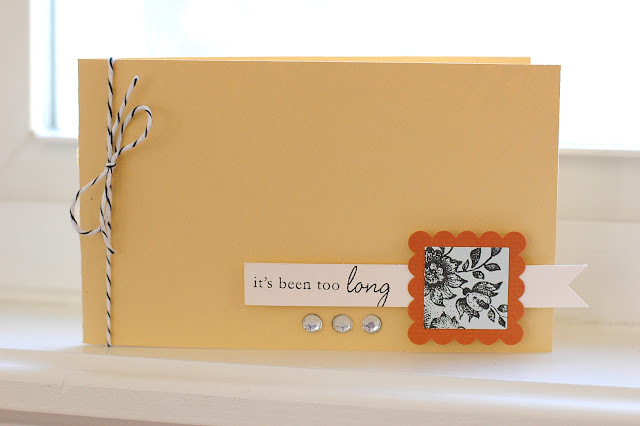 I love how you identified the main elements of Karola's card and put your own spin on them! What do men know? This is an amazing CAS card - just up my street! Thanks for joining us at CASE study. fabulous CAS card, luv this! I'm a CAS girl myself and I adore your card with all its glorious space. Your cluster of embellishments are absolutely perfect and the bakers twine sets the whole thing off perfectly! Wida, you have a wonderful blog! It's full of delicious projects :) I love this card! !